Queensryche (www.queensryche.com) has been a consistent presence in the rock world for well over 20 years. Unlike many of their peers, they drive on today with the same dignified fervor that characterized them in the heyday of their genre. They continue to push the creative envelope, challenge themselves and their fans, and produce art rather than just music. The last few years have been a non-stop ride for Queensryche. They’ve opened for Judas Priest and Heaven And Hell and headlined in support of their theatrical production for Operation: Mindcrime alone followed by a tour that included the sequel to the story, Operation: Mindcrime II. This year saw the release of the live double-CD/DVD Mindcrime at the Moore, the Sign of the Times hits collection, and on November 13, the tribute disc Take Cover. In this exclusive interview, conducted by Nikki, singer Geoff Tate offered an enlightening glance at the inner workings of one of the most complex of visionary forces – Operation: Queensryche. Sleaze Roxx: Regarding what you guys have been up to lately, why has there been so much going on and how do you keep such a schedule? Geoff Tate: We signed with a new record company, Rhino/Warner Brothers, and work with some wonderful people who are very interested in putting out releases. It’s a good team of people. We like to work and we like to put things out. It’s a team of people who like to do that, who are very creative and motivated. I think we might have found a really good match. It’s difficult because you would think that record companies would be interested in working, but a lot of times they can’t get themselves together, as in the case of our last record company, Sanctuary. So I think that’s why we’ve been so prolific lately is that they’re very motivated to work. Sleaze Roxx: Do you have any other creative outlets or things you do to relax? You are on the go so much, do you step away from the music and have other ways of expressing yourself? Geoff Tate: I don’t know how to relax. That’s a problem. But I like to work. I’m always working at home every day, writing something, doing something with music. It seems to be something that I’m pretty addicted to, really. We’ve got four weeks off from touring right now, getting ready to go to Europe in November and we’ll probably be there until after the first of the year (Note: Queensrcyhe’s European tour has since been cancelled due to a “personal emergency”). We’ll be doing a lot of work then. We’re actually working on a new studio album at the moment, finishing up the writing for that. We hope to be done with the writing soon, and plan to start recording in March for a fall release. Sleaze Roxx: In an interview from 1985, you described your approach to music: “…we put in a lot of changes in the songs, different flavors and feeling. It’s more moving than 120 decibels in your face throughout a show because after a while an audience gets numb to that. We change the mood so it’s not boring”. Those words could easily have been spoken in 2007. How do you hold true to your vision, balance old and new ideas and retain your original audience while gaining access to new ones? Geoff Tate: Well, I don’t really look at it in those terms, honestly. To me music is expression and communication and that’s what I focus on, just writing records. I love creating music, telling stories and structuring those stories so that they have some sort of message or a lesson I’ve learned, or some kind of presentation that perhaps causes someone to think about what I’m writing. That’s kind of the way I’ve always approached it. I don’t really think about access to audiences or maintaining or retaining an audience. In fact if someone asked me how many records I’ve sold I couldn’t tell you. I don’t even look at the royalty statements; it’s just not interesting to me. It’s just another task that I’d have to do and I don’t really do it. Sleaze Roxx: It’s making your music for yourself and if other people like it, then that’s a bonus. Geoff Tate: Yeah, that’s kind of the way it is, really. You know a lot of times you talk to journalists and they want to go with this idea that you’re doing it for the fans, but not really. I’m doing it for myself. The band, we’re making music for ourselves. We started this band out of high school and we all like hanging out together and talking about music and what we can do with it. That really hasn’t changed. We still get together a few times a week, hit the studio, make music, rehearse something for a tour or write something new. We just like hanging out and it hasn’t really changed. And with what we make we put it out there for people, we share it with people. Some people like it, some people don’t, some people take it a certain way and some people take it completely away from what we intend and come up with their own conclusions about it. It’s nothing you can control. Once you make it, it’s out of your hands so to speak. Sleaze Roxx: The Mindcrime albums fit in with that because they’re so different from other material out there. In 1988, when the first Mindcrime was released, did you realize you were creating something special? Geoff Tate: Well, we like to think we’re creating something special with every release. Certain things you make connect with people in a big way. Sometimes you have the right record company who sells it correctly and puts it out there. Some companies put a lot of money behind promotion of it, some people don’t. When it comes to that kind of thing, the success of a record commercially, it’s out of your hands in a sense. As long as you’re there to do the work, do interviews, make appearances, play your music, that’s all you can really do as a musician. But how they market it, what they do with it, you don’t really have much control over that. Sleaze Roxx: Are there any processes you used in creating Mindcrime II, related to music or writing, which were different from Mindcrime I? Geoff Tate: Not really, it was very similar. It always starts the same way, spending a lot of time talking about it, visualizing what the plan will be, what we’re going to try to do with each scene – scene meaning song. We spend the majority of the time talking about it. Sometimes at rehearsals we don’t even pick up the instruments. We just sit around and talk about it, and that conversation inspires us to individually come up with parts. Then we get together and compare notes, try things out and work from there. But every time, it all starts with a conversation. Sleaze Roxx: Was your record company leery about putting out something like Mindcrime? Geoff Tate: Well back then it was a different sort of industry. There were a lot of music people involved with it then, so they embraced the creative qualities of the songs and the album, they liked that. They just had to figure out a way to get it across to people, to market it. That’s really what they’re there for. Like I said earlier, a lot of companies just don’t have that. They don’t have an idea of how to market something. You have to walk them through it. 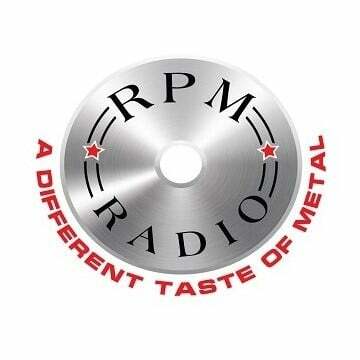 EMI was our record company for Mindcrime and we were several albums into working with them. They got to know us and understood what we were trying to do, they got the bigger picture. But the story with that record, it wasn’t really well received at the time. It sold exactly the amount that our previous album had sold. We put it out, did our tour, did interviews for it, and it kind of hit the wall sales-wise. And they were happy with that. They said, “Ok, we have time to make another record”. And in between the time they said that and the time we actually started making another record, we got an invitation to make a video. MTV called, one of the guys there was a fan, and they said if we made a video they’d play it. So we put all of our money into making “Eyes of a Stranger” and it just became a big hit. Immediately the album went gold, then platinum, then double platinum, and it’s just been selling ever since. It really was an interesting experience to see the power of television and the effect that television marketing has on the public. It really got us thinking about that. And that concept stuck with us ever since. In fact we’ve even written songs about that process and how marketing works and how people buy stuff. And in fact, in our country we’re pretty much obsessed with it. If it’s on TV it must be good, you know? Sleaze Roxx: After the record turned around and did well, is that when you decided to tour Mindcrime I in its entirety in 1991? Geoff Tate: We weren’t doing our own shows when Mindcrime came out. The Empire album was the first tour we headlined. We had always wanted to play Mindcrime in its entirety, we thought that was what the record needed, but we didn’t have a chance to when it came out. We had the opportunity during Empire to revisit it, which turned out to be a good move. It seemed to go over really well and left an imprint on our audience. Sleaze Roxx: Speaking of MTV and the “Eyes Of A Stranger” video, back in the 80’s MTV and radio were very supportive of rock music. But today, 80’s era bands don’t enjoy such a luxury when trying to promote their current work. If you hear something on the radio, it’s not usually any newer than 1990. What do you see as the pros and cons of the current media situation? Geoff Tate: Every musical genre has its day in the public, and the late 80’s / early 90’s was the time for rock music. Many, many bands were playing arenas and that kind of entertainment was very popular. Whereas in the late 90’s it started to wane, rap music became the music of the time and radio really followed that because they’re not really pioneering anything anymore, just sort of doing what they do. I think you can get really obsessed with lamenting the past and the good old days, but it doesn’t do you any good. Everybody has their day in the sun, so to speak, where they get media attention. But honestly we have more commercial success nowadays than we did back then. We do very really well. We sell records and tour in 26 different countries, we’re constantly going places and touring. It’s different but monetarily it’s the same. And I think you just have to go with that and realize it’s a different world rather than getting hung up on wishing it was the good old days again. Sleaze Roxx: As far as social commentary with the Mindcrime albums, how much of that is you and how much of that is Nikki’s particular viewpoint? Geoff Tate: What I really tried to do with it was approach it from the mindset of this particular character, given his background and how he grew up. I just put myself in his place and wrote from his perspective. And the perspective on the first album is really that – a guy in his 20’s, which I was at the time, idealistic and discovering the process by which the world works. We’re brought up as children to believe that the world is black and white, and that this is the way it’s done, this isn’t the way it’s done, and that everything has a right and a wrong. And the older you get, you realize that’s a complete lie, and that there’s a loose code that we’re supposed to follow but most people don’t. So it’s kind of an eye opening experience when you realize that the way you were brought up isn’t the way that the world works. So I thought that would make an interesting perspective for a character, him growing up and seeing things unfold. Sleaze Roxx: Queensryche has always involved technology in their music. How have things changed from the early days to now, for the way you record your albums and with your live shows? Geoff Tate: That’s really changed a lot. It’s a lot better now than it used to be. You are a lot freer to create because the technology is so much more user-friendly. We used to have to book time in a studio and record. You never really heard your songs in a good way until you went in the studio. So you always had to write from a position of “well, it’s going to sound like this”. Where nowadays, my home studio is equivalent to what we were recording in 20 years ago. It’s really high tech and great, you can get sound much quicker and easier. You use Pro Tools, it’s more orderly and you can find your tracks quickly. It’s all easily storable, too. In fact I’ve got every record we’ve ever done, all the separate tracks on 3 different hard drives. Everything is more compact and more easily attained. To record a record years ago, you’d need stacks and stacks of tape, have a place to store them, and after a few years the tape starts going bad so you need to re-record them if you wanted to hang on to it. It was just really a pain to deal with. Nowadays it’s a lot better. And with a home studio, you can create anytime you want, you get an idea you just go in and throw it down, and that way it’s recorded, saved and you have the moment. It’s always seems like the most magical time is when you are creating something. You get a lot of the great takes that way. With technology today you can utilize those takes. You just put them in your main mix when you are recording the song if you like a certain vocal take or guitar take. 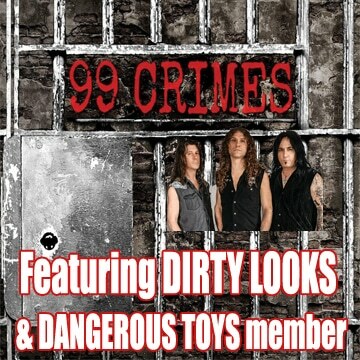 Sleaze Roxx: But these days, you don’t even need to be in the same room with your band mates to make an album, do you? Geoff Tate: No, not really. But I think there’s a magic that happens when you play together and you can’t achieve that when you play separately, a synergy that happens between musicians playing together at the same time and you can’t duplicate that. Especially with the stuff we do where it’s not a computer driven beat. It’s Scott Rockenfield and he’s very unique and no machine can do what he does. So it’s better, we try to always record together. But we do a lot with technology. Michael last night emailed me a new guitar part for a song we’re working on and this morning I put that wav file into the song, my version of the song, and replaced his old guitar track with the new one. And we didn’t have to be in the same room. Sleaze Roxx: Had you always wanted to record a covers CD? Geoff Tate: No, we never even thought about it. This whole project was sort of a fluke. We play a lot of covers songs during sound check, as a game, you know, “Name That Tune”. We play a riff and try to complete the song. Kenny, a guy from our record company was at sound check one day and afterwards he said, “That was really cool, what you were doing”. And we said, “What? Testing out our instruments”? And he said, “No, playing all of those cover songs. If you record that stuff we’ll put it out on a record”. And we were due to do some studio work when we got off the tour and we tried it. We all picked a couple songs, reworked them and did it. There really wasn’t a lot of thought in it. It was just a fun thing to do. It’s kind of nice to do something casual like that instead of focusing on your own material. 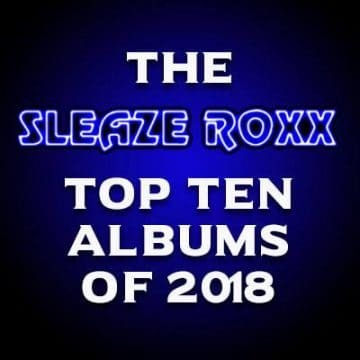 Sleaze Roxx: There’s quite an eclectic mix of songs on there. How did you come up with the opera song “Odissea”? Geoff Tate: It’s a song I’ve always loved. We all brought in a couple of songs and didn’t question each other about our choices. We just went with it, and gave it our own flavor and twist. That was really all the thought that went into it. Sleaze Roxx: With “For The Love Of Money” you describe it as “one of the most challenging and enjoyable songs to record”. What do you mean by that? Geoff Tate: Just doing a song like that, with more of a funk feel and a blues soul direction is something quite different that what we normally do. So in that sense it was very different, fun and challenging. Sleaze Roxx: And U2’s “Bullet The Blue Sky”? Geoff Tate: We recorded that one live. That was a day we were just playing around with that one at sound check, and the audience that night was pumped up and wanted more after the show, so Scott said, “Hey, why don’t we do “Bullet”? So we did it as an encore. We record all of our shows anyway, just as a matter of habit, so we recorded that song. And we haven’t played it again since. The recording was really good and it was a neat version of it so we included it on this project. Sleaze Roxx: From a purely vocal perspective, what songs are your favorites to sing? Geoff Tate: All of them. I don’t really have a favorite. For me, it revolves a lot around lyrics and what the message of the song is about. That’s pretty much my focus all the time. Some things I’ve written over the years, I can’t quite get behind the same way now, as an older man. Some of the older stuff is sophomoric in my opinion, and I have a hard time sinking myself into it. I can perform the song, but there’s a difference between performing the song and really being in the song and delivering from your heart. I tend to want to sing the songs that I feel have more relevance to where I am now, songs that have more of a philosophical outlook, or that are more questioning. And again, live it depends on what we’re doing with the show. There’s an album called Rage for Order, we’ve been talking about performing it in its entirety because we get a lot of requests from our audience for that. I really like that record a lot and I think it would be fun to perform that live. Promised Land is another one of my favorite records. That album is very challenging to perform live. We did it on the tour when that album came out and I think nowadays we could perform it better than we did then. Our audience has grown up to a point in their lives where they can relate to the Promised Land a lot more than they did when they were younger. It’s one of those records you grow to love the older you get because you’ve lived enough life where the messages of the songs affect you differently. Sleaze Roxx: How do you keep your voice in such good shape? Every time I’ve seen you, you’ve been spot on. Is there a secret? Geoff Tate: Oh, you know that old saying, “Practice makes perfect”. I think that has a lot to do with it. Touring helps me keep my game up. If I don’t tour for 6 or 8 months, I can definitely tell. It takes me a few months to get myself to what I would consider a passable performance level. I just have to keep active and keep singing every day. When you perform the Mindcrime show, like we did last tour, it’s a 2 and a half hour set of very intense stuff and you have to be in real top form to do it. It’s not something you can just pull out and do after not doing it for a long time. Sleaze Roxx: You mentioned you’ll be heading into the studio next year. Will your new record have a theme to it? Geoff Tate: Yeah, it’s a concept record, a story. We have a very elaborate stage show that will be accompanying the tour. We hope to be touring on that in North America probably by winter time next year. Sleaze Roxx: You have toured all over the world. Do you find that audiences vary from country to country? Geoff Tate: We love to play everywhere. It’s really fun and very satisfying to travel to a different country and present what you do, get to know people, learn about their culture and see how and why your song is resonating with them. It’s also very challenging to bridge the cultural gaps and languages. I just love traveling, going to obscure and weird places. Even on my own without the band, my family part of our thing is to take off and go someplace for Christmas and we usually spend about 3 weeks all being together, traveling and going places. It’s just what’s good in life to me. Sleaze Roxx: What kind of venue do you prefer playing and does the particular set list you have for a tour have any bearing on that? Geoff Tate: We like playing anywhere and everywhere. We’ve played in stadiums in front of 250,000 people, in radio stations in front of two people, on flatbed trucks, in the middle of the desert. You name it and we’ll play it. As long as there’s somebody there to listen, we’re there.